An estimated 9 to 15 percent of Americans — nearly 40 million people — experience anxiety and fear related to going to the dentist. 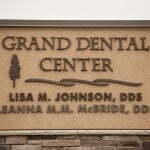 At Grand Dental Center, we offer an array of solutions at our Grand Rapids, MN dentist office to help our fearful patients receive comfortable dental care. Our caring staff is committed to helping our patients feel at home in our office and we offer a variety of comfort amenities including a spa-like atmosphere and massaging treatment chairs to help our anxious patients relax during their visits. However, if these methods do not help to alleviate some of your anxieties, Drs. Johnson and McBride are well-trained to ensure your comfort during your treatment. Grand Rapids Dental Care is dedicated to helping you maintain your oral health and your dentist will work with you to help determine the best sedation option for your needs.